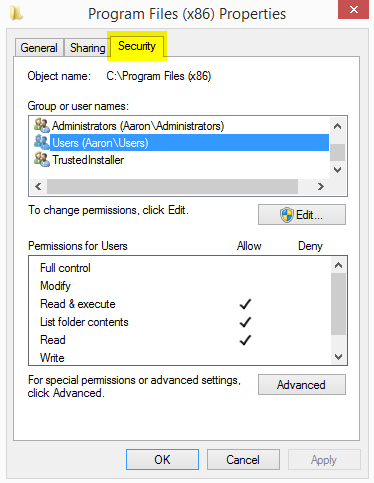 When StaffMap is installed, the default permissions for the folder: "C:\Program Files\StaffMap 2" is 'readonly'. 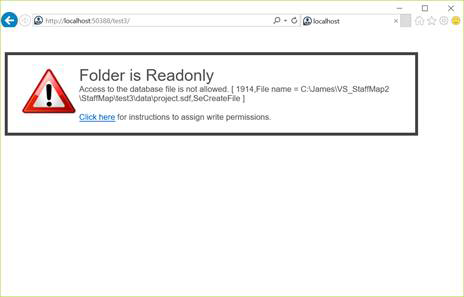 StaffMap must have 'write' permissions in order to add Staff or Desks and to complete other processes that modify the project database. 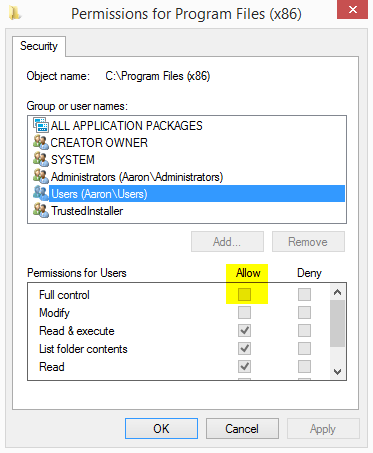 The setup wizard normally assigns write permissions automatically. If you run StaffMap and see the error below, you will need to assign write permissions manually. In the File Explorer navigate to the the folder where StaffMap is installed (ex. C:\Program Files\StaffMap 2\). 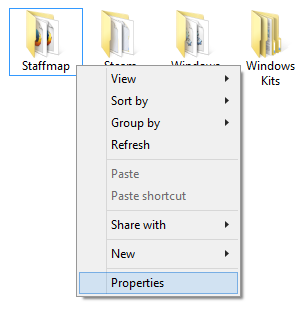 Right click the StaffMap 2 folder & select Properties. Check the Full Control check box under the Allow column and then click OK.